If you follow me on Facebook, you may know that we recently moved across town. We had a garden at our old house, and the new owners haven’t moved in yet, so we’ve been driving back and forth to water the garden and harvest our produce. We only manage to check on the garden every few days, which means we’ve had a ton of huge zucchini. I can’t believe how fast those things grow! 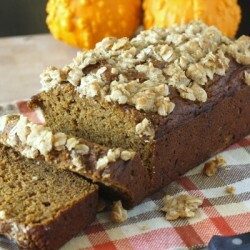 I made some of my old favorite zucchini recipes, but eventually decided to try something new. 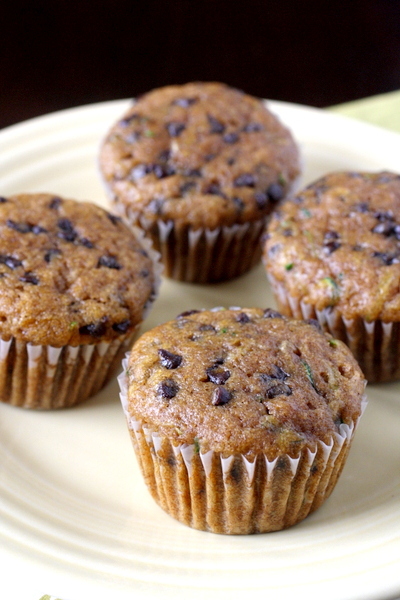 I googled “best ever zucchini muffins” (I can’t be the only one that googles stuff like that, right?? 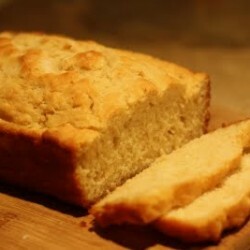 ), and came across this recipe. I modified it to my own tastes and ended up with what you see here. 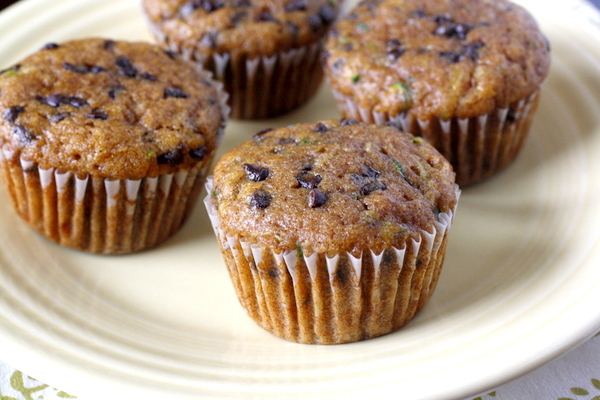 I hope you still have some zucchini left because you will want to make these muffins. They are easy to mix up, and they taste wonderful. They might actually live up to their name of “best ever”! They are soft and moist and, of course, the addition of chocolate never hurts anything. I also used half whole wheat flour to make them seem a little healthier – I figure the whole wheat flour and the chocolate cancel each other out. 🙂 I took these to a girls’ group from church and everyone loved them. I hope you try them, because I’m pretty sure you’ll love them too. Preheat oven to 350 degrees F. Line 12 muffin cups with liners and set aside. In a large bowl, whisk together the flour, sugar, baking soda, cinnamon, and salt. In a separate bowl, mix together the egg, oil, buttermilk, lemon juice, and vanilla extract; stir into dry ingredients until just moistened. 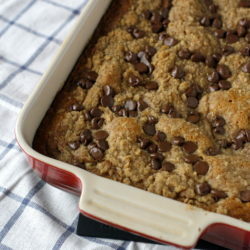 Fold in zucchini and chocolate chips. Divide among muffin cups, filling each about 2/3 full. 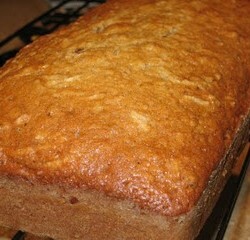 Bake at 350 for 20-25 minutes, or until a toothpick inserted into a center muffin comes out clean or with moist crumbs. Is it possible to use all all-purpose flour? 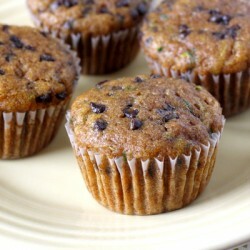 I don’t have any whole wheat flour and want to make these muffins today!